To read at least 3 times over the week and get my adult to sign my reading record. All children need to pick or write a poem to rehearse in preparation for the 28th June for our class competition to go forward to the Main competition on the 6th July. Spellings: hesitation, injection, invention, magician, mathematician, musician, permission, politician and tension. 1. Should people be allowed to go barefoot anywhere they want? 2. Should pupils get paid for attending school? 3. Should hunting of animals as a sport be banned? 4. Should children where school uniform? 5. Should recycling be made a law? Spellings: completion, expression, discussion, confession, admission, expansion, extension, comprehension and electrician. Complete maths topic review sheet. 1. Read an entire book and write a book review about it. 2. Visit a historical site and create a leaflet about it. 4. Do some gardening and write a description of what it looks like. 5. Create a play, write a script and get your family involved in performing it. Spellings: measure, treasure, pleasure, enclosure, creature, furniture, picture, nature and adventure. To practise ____________ times tables for our weekly times tables test. Create a fact file about what you want to be when you grow up. Include the job title, what industry it is in, which country it is more common, why you want to do that job, other people you know who do that job (famous or not) and draw a picture of you doing that job. Spellings are: country, young, touch, double, trouble, couple, courage, cousin, rough and tough. Complete “Hopping elephant” work sheet. Complete MyMaths homework (if you need your login again, contact Miss Vincent through Class Dojo). Bring in resources for your Victorian Invention DT project (you should have a list). + If you haven’t done so already. There is a Victorians Homework Buffet for you to complete over this half term by the 30th March 2018 before the Easter holidays. 1. Thinking about our science topic of ‘States of Matter’ (solids, liquids and gases), do some research on snow and create a poster to show how it is created. 2. Complete the Winter Paralympics maths problem worksheets. Bring in resources for your Victorian Invention DT project (you should have a list). To read at least 5 times over the week and get my adult to sign my reading record. Complete MyMaths homework (if you need your login again, contact Miss Vincent through Class Dojo) and ‘Longer Sentences, Old Fashioned words and Fantasy Furniture’ worksheets. Complete MyMaths homework (if you need your logins again let me know) and ‘Cut It Out’ worksheet. We will be having a break from spellings for this week after the Year 3/4 spelling test. To practise my year 3 and 4 spellings. On the 2nd February, there will be a spelling test of all of the year 3 and 4 spellings. There is the list attached to the homework and is available on the school website. Complete ‘Volts Venn Diagram’ and ‘Pet Paragraphs’ worksheets. Children are to do some research on Victorian inventions and make bullet points. Children need to find out information about 4 different items that were invented during Victorian times. To create a ‘shout out’ card for our new focus on kindness. We will have a ‘shout out’ box in our classroom. For your ‘shout out’ card, you will need: A5 piece of paper, pencils and pens. Your ‘shout out’ card needs to have a title, a place to put the name of who the ‘shout out’ is too, a place for the date and a place to put a reason for the ‘shout out’. These cards will be photocopied in school to use on a daily basis. Please decorate them and make them funky! To practise my 10 spellings that I will be tested on Friday 19th January. Spellings: information, adoration, sensation, preparation, education, location, exaggeration, concentration, imagination and organisation. On the 2nd February, there will be a spelling test of all of the year 3 and 4 spellings. There is the list attached to the homework and is available on the school website. 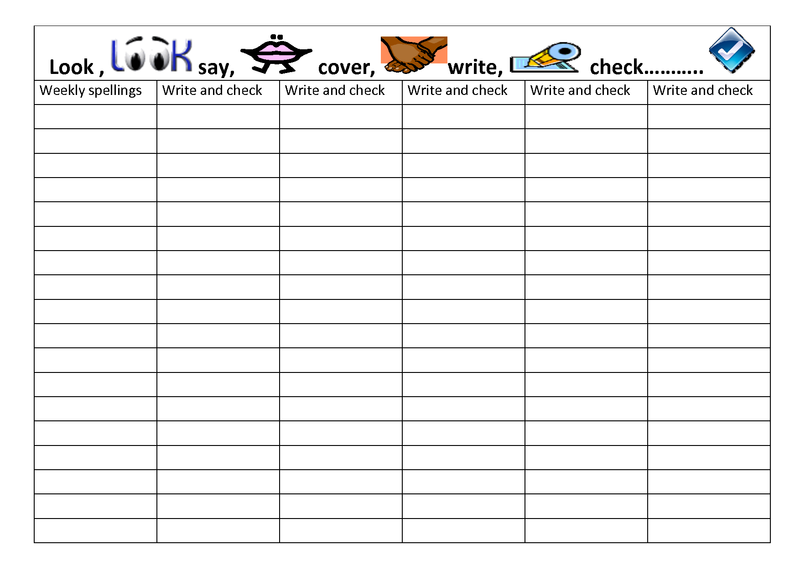 To complete ‘consequences’ and ‘counting cash’ worksheets. To practise my 10 spellings that I will be tested on Friday 12th January. Spellings: often, ordinary, particular, perhaps, possible, probably, special, surprise, though and various. To complete ‘20 to spend around’ and ‘and then’ worksheets. To practise my 10 spellings that I will be tested on Wednesday 20th December. Spellings: build, circle, early, experiment, famous, heard, occasion, opposite, through and pressure. To pick at least 3 out of the 8 activities from the Romans Topic Homework buffet to be completed by Tuesday 19th December 2017. Please try to start bringing your homework into school so we can put it on the display. To practise my 10 spellings that I will be tested on Friday 15th December. Spellings: possession, accidentally, certain, difficult, extreme, guide, enough, quarter, strange and recent. For the week and a half, the school needs advent calendar doors. They must be on A5 paper (half a normal piece of paper). The children need to draw a Christmas Nativity image on their piece of paper. To practise my 10 spellings that I will be tested on Friday 17th November. Spellings: believe, continue, height, occasionally, potatoes, sentence, thought, woman, island and forwards. To practice ____________ times tables for our weekly times tables test. To practice my 10 spellings that I will be tested on Friday 17th November. Spellings: appear, breath, centre, consider, eighth, guard, imagine, material, naughty and position. To pick at least 3 out of the 8 activities from the Romans Topic Homework buffet to be completed by Tuesday 19th December 2017. Spellings: answer, bicycle, caught, describe, experience, heart, important, medicine, therefore and various. To practice my 10 spellings that I will be tested on Friday 10th November. Spellings: grammar, minute, calendar, earth, address, promise, reign, women, suppose and although. To read at least 5 times over the holiday week and get my adult to sign my reading record. To practice my 25 spellings that I will be tested on Friday 3rd November. Spellings: accident, prefer, misshape, disallow, incorrect, illegible, impolite, irresponsible, autobiography, reappear, antisocial, subtotal, interactive, superstar, beneath, library, peculiar, separate, purpose, remember, business, disappear, favourite, knowledge and different. To complete ‘That’s not Fair’, ‘Telephone Number Difference’ and ‘Cats and Dogs’ work sheets. To read at least 3 times a week and get my adult to sign my reading record. To practice my 10 spellings that I will be tested on Monday. Spellings: submarine, supersonic, international, subtotal, superglue, interrelated, superpower, submerge, interlock and interactive. To complete the ‘Word problems using Addition and Subtraction’ and ‘Jack and the Beanstalk Playscript’ worksheets. To practice my 10 spellings that I will be tested on Friday. To complete the ‘Column Addition and Subtracting’ and ‘Newspaper Article’ worksheets. If the children are struggling with their addition or subtracting, use this website to support their understanding https://www.topmarks.co.uk/Flash.aspx?f=diennesandcoinsv3. To practice my 10 spellings that I will be tested on Thursday. To complete the ‘Roman Numeral Sequences’ and ‘Junior Superhero’ worksheets. Can children bring in recyclable junk for them to create their own instrument for DT this week? Spellings: incorrect, incapable, inadequate, impolite, impossible, illogical, illegal, irregular, irresistible and irresponsible. 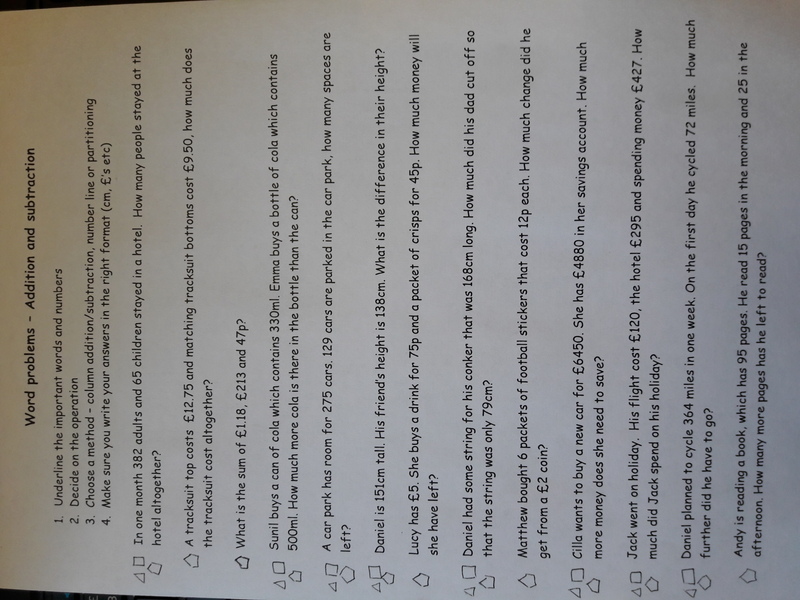 To complete ‘Rounding to nearest 10, 100 and 100’ worksheet (children should know what maths groups they are in) and ‘An unusual day’ worksheet. Can children also begin to bring in recyclable junk for them to create their own instrument for DT? (The children should have written down the times tables that they will need to practice.) They must be able to know the times tables exactly: 2 x 3 = 6 not just 3, 6, 9, etc. They should also make sure they are practicing in a random order. To read at least 3 times a week and get my adult to sign my reading record. This can be reading independently, with a friend or family member or even listening. The children can read a range of materials; books, newspapers, comics, magazine etc. accident, breathe, complete, eight, fruit, increase, mention, peculiar, purpose and straight. To complete ‘Adverb Charades’ with a friend or family member.